Enriched with vitamin B3, this serum helps combat cellular oxidation and revives radiance in the case of dull complexions. It has a detoxifying effect and acts as a genuine anti-pollution shield during the day. Its light and watery texture makes it a moisturising and soothing freshness bath. 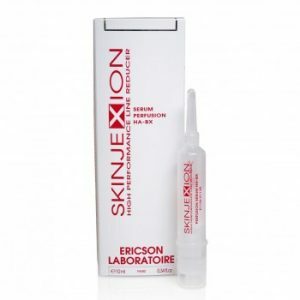 Enriched with pro-vitamin B5 and vitamin E, this serum has a soothing and softening effect on dry and sensitive skin. Enriched with vitamin B9 and Retinol, this serum has an amazing positive stimulative and regenerative effect on skin tissue. It visibly improves skin tone, elasticity and firmness. It is therefore key to curbing fatigue and the sagging of facial contours. Enriched with vitamin C and vitamin H or biotin, this serum both lightens and brightens complexion, with effective action against skin spots. The positive effects of vitamin C on signs of fatigue are also well known. HTAC BOOSTER: powerful skin cell booster, special energising action by increasing mitochondrial activity, protects your youthfulness against oxidation and pollution. Excellent anti-wrinkle and anti-fatigue effect. Synthesised by the calcified Jania Rubens seaweed, associated with a carrageenan with moisturising and protective properties. VITAMIN B3: anti-inflammatory effect, protection against harmful UV rays and the harmful effects of pollution. 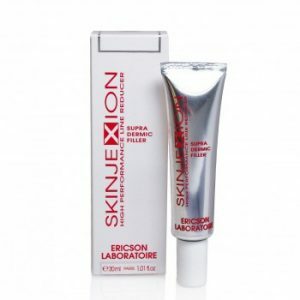 Regenerating, long termmoisturising action and reduces age spots. Skin regains tone and elasticity. FUCOGEL: immediate and long-term moisturising properties, through a hygroscopic coating-forming effect. 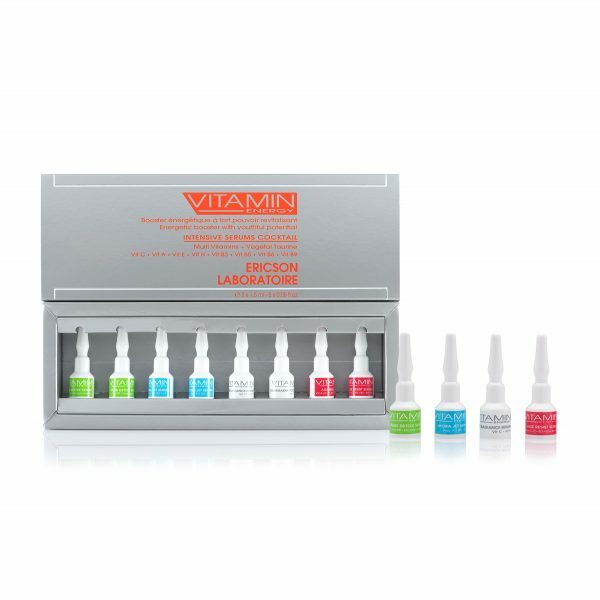 VITAMIN E: its antioxidant effect, by neutralising free radicals, protects cell membrane structure. Anti-inflammatory and moisturising. PROVITAMIN B5: moisturising, healing, anti-inflammatory, soothing and restorative properties on the skin. Reduces water loss, maintains skin smoothness and elasticity. 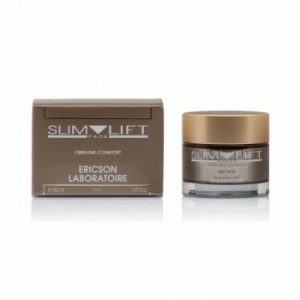 LIPIDURE: thanks to its biomimetic and biocompatibility properties with regard to membrane phospholipids, it restores skin integrity by providing optimal hydration. RETINOL: smoothens skin texture by accelerating epidermal renewal. Regulates melanocyte activity to reduce the intensity of dark spots. 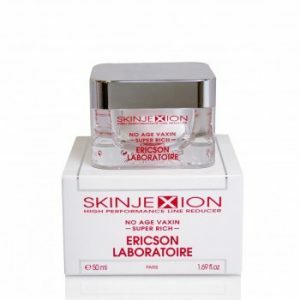 Stimulates production of collagen and elastin, increases the concentration of hyaluronic acid. VITAMIN B9: folic acid, essential to cell renewal. Contributes to repairing DNA damaged by UV rays. 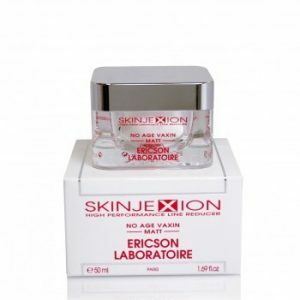 Powerful antioxidant, stimulates fibroblast metabolism, combats premature skin ageing. MARULA EXTRACT: rich in restorative omega 6 and 9 and antioxidant vitamin C. Moisturises, heals and protects skin structure. PISTACHIO EXTRACT: excellent emollient, reduces Trans-Epidermal Water Loss (TEWL). KOKUM EXTRACT: rich in polyunsaturated fatty acids. Regenerating and restorative. CRANBERRY EXTRACT: very rich in vitamin C and antioxidant flavonoids with powerful anti-free radical action. Contains omegas oils 3, 6 and 9, essential to preventing skin inflammation. Prevents damage to cell membranes from pollution. ARGAN OIL: rich in essential fatty acids and vitamin E, revitalising. 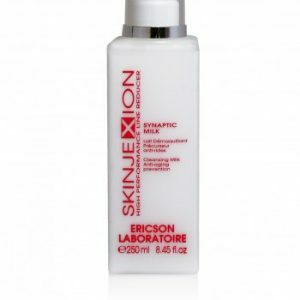 Regenerates cell membranes and strengthens the skin’s barrier function. BIOTIN: Vitamin B8 or H is involved in cell mitosis for skin renewal. 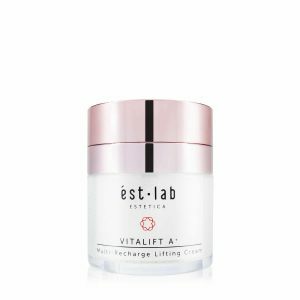 Plays a very important role in sustaining skin homeostasis.STABILISED VITAMIN C: water-soluble, bio-transformed into fat-soluble vitamin C through phosphatase action. Powerful antioxidant and anti-free radical agent, stimulates collagen production, reduces melanin synthesis and lightens existing spots. Reduces scars resulting from acne lesions. Precautions for use: Each serum is very active. If skin is sensitive, it is preferable to apply a thin layer of cream before the serum. Use in specific order as stated below. Shake before use. Apply the entire bottle as a day or night serum, and massage into skin gently with fingertips. Shake before use. Apply the entire bottle as a night serum, and massage into skin gently with fingertips.